Sziget is an island in Danube River, and for 25 years it is a home of Sziget Festival, the leading Hungarian music festival. Every year this Budapest institution attracts hundreds of thousands of visitors from around the world, interested in consuming concerts, parties, performances, movies, lectures, workshops, games, food and drinks, in its artsy and relaxed environment. The audience covers the vast spectrum from young to old, from straight to gay, from Pink to punk fans, from Sado Opera to the real opera lovers. 1. Don’t experience Sziget Festival through the big screens! At one point of their concert, Bosnian Dubioza Kolektiv needed to wave to the Sziget audience and shout: “Hellooo! We are here, you know? 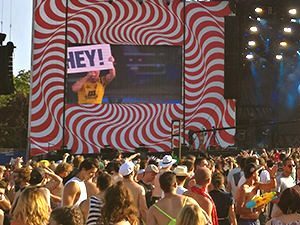 !” Technologically advanced, Sziget Festival provides the live footage of the concerts at its main stages via three huge screens. But if you have already made an effort to get into the first rows, or even better, if you have already made an effort to travel for your favorite bands from Australia, Hong Kong or any other of 100 countries from which visitors traveled to Hungary, why spend the evening with your eyes glued to the video wall? The event is live, you are alive, jerk, so don’t let the artists see you preferring their 2D version on the sides of the stage where they stand. If Dubioza Kolektiv can see you not looking at them, there is a big chance you can actually see them directly, with no help of the screens that are installed there mainly for the audience that wasn’t as lucky as you were, so they couldn’t even approach the stage! 2. 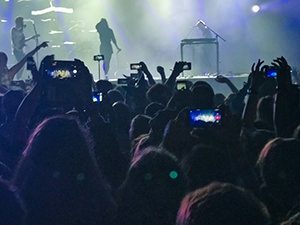 Don’t spend the entire concert with a mobile phone in your hand! Sure, it’s understandable you want to prove to your social networks followers and fans that you were there at Sziget Festival, just meters away from, let’s say, The Naked and Famous. You might even tag the band into your footage, hoping that this is the way to get noticed by your favorite stars and even “liked”. However, the probability is that your video will be crappy and shaky and overexposed, the probability is your mobile phone will not record the loud sound properly. So just don’t! Did you know that professional photographers are usually not allowed to take pictures of the concert after the first three songs? So if the professionals cannot make them, why do you think that your amateur footage will be of any worth? If the festival is protecting you from having your view blocked by the potentially annoying pro photographers, why do you think that your amateur filming of the concert is not as annoying to the persons behind you? During the same TNAF concert, I have seen the visitors tagging their friends on social networks or even checking the sports news, just 10 meters from the stage. The worst example of dehumanized Sziget jerk I have seen during the Pink concert. This girl spent the entire concert time on the shoulders of her bearer, with a selfie stick in her hands. I haven’t witnessed ONE single moment when she would film the singer or the band. Her camera lens was always turned towards herself, while she was singing Pink songs high above the audience. Even when Pink, in the concert finale, started to fly over the public, just meters away, for the selfie stick girl this was not as nearly spectacular as filming herself while lip synching the live song! Free your hands and enjoy the music! For more content on selfie idiotism, read this article! 3. Don’t continue dancing if you just threw up on the dance floor! With Sziget Festival growing older, it seems its crowd is getting younger and younger. It might be happening with all popular festivals out there. 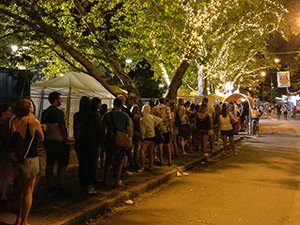 Younger partygoers generally have a harder time estimating their limits when drinking, and this might be the reason why constant ambulance sirens during Sziget Festival are a regular atmospheric background for Budapest citizens. If one of the friends in your group throws up on the dance floor during the concert (I witnessed this the very first day of the festival), don’t just hug her, hoping that now she might get better. Hugs don’t heal overdosing with alcohol! More beer to fill up just emptied stomach won’t help either! This girl was throwing up during the concert at least twice, with the constant gag reflex play of her throat. This provided more dancing room to her friends. Only jerks can stay around the throwing-up ‘dancer’ comforting her with hugs. 4. Don’t throw your cups or cans in the air! Temperatures at Sziget Festival can get quite high (up to 37 degree Celsius this year!) and you might conclude that everyone would appreciate sprinkling them with some beer or cocktail leftover. Well, they don’t, jerk! If you are lazy enough to throw your trash in the garbage bin (which, true, might be unpractical during the concert), dispose it under your own feet. Nobody else should care about your plastic cups, your cocktail bucket or your flying ice. You are dangerous and stupid! 5. Don’t get so high that you will appropriate other people’s tents! Anouk from Holland came back to her tent and found an unknown male sleeping. “I pulled him out by his legs, he still didn’t want to wake up. He grabbed my tent, so I kicked him in his stomach”, she says. Luckily, this happened during the daytime, so Anouk was not alone. Her tent neighbors took things into their own hands. The testosterone quickly rose to the level of conflict. 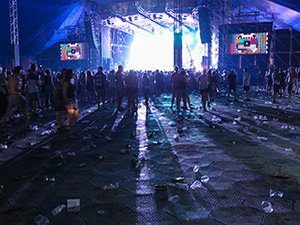 The problem is that if you get wasted (which on Sziget, as at most of the other music festivals, is not that hard), crossing the line may cost you more than you could imagine! This guy was continuously returning to the conflict zone, which made the tension even greater, and finally, only fear of real injuries saved him. Don’t be a jerk – take drugs only until you still remember where YOUR tent is! 6. 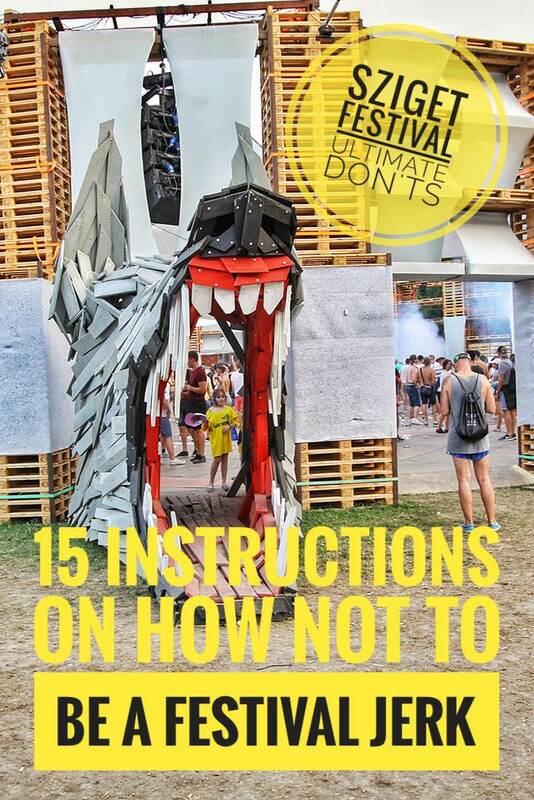 Don’t intervene in Sziget Festival’s art installations! Just because you have a color spray, that doesn’t entitle you to write over the artwork! If your creativity was any worth, Sziget Festival would probably have paid you to come. Nobody cares about your colorful interventions, climbing the installation or getting stuck in it, or even dismantling it to pieces. If you are destroying the artwork, you are just ignorant and should go to local junkyard next time, and not to the international arts festival. 7. Don’t jump on performers! One could assume that the majority of Sziget Festival audience is there to party with their favorite bands, DJs, and drinks. 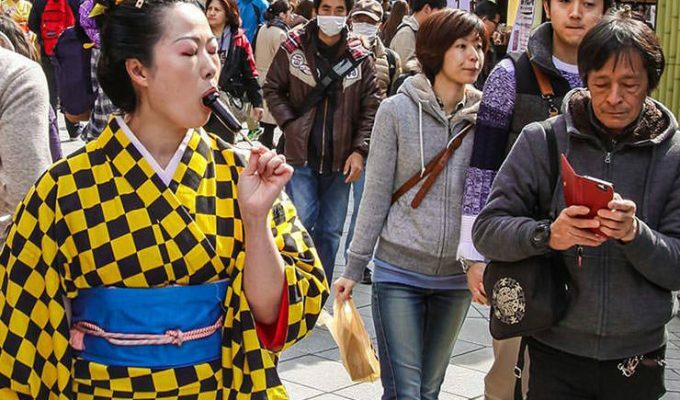 It is great that the festival still offers to its audience less commercial content too, such as opera, theatre, dance or street performances. That doesn’t mean that a typical visitor will always know how to behave in an unknown environment. They might confuse the indoor performance space with a bar where they can just chat with their friends as loud as they want. 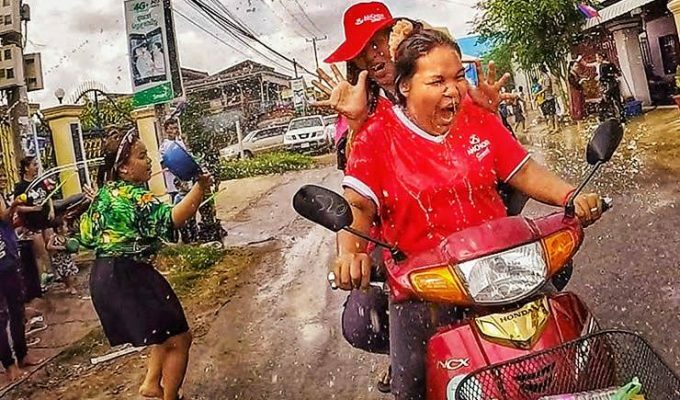 When on the street, these jerks’ stupidity can even get a physical form. After the Big Bugs from the Dutch Mr. Image Theatre appeared on Sziget Island streets, I felt truly sad for the artists’ hardship. No, jerks, you cannot sit on performers or bend their costumes! You cannot hump them just because they are selflessly trying to entertain you, you ungrateful idiots! And no, just because they play bugs for you, it doesn’t mean you can step on them and try to crush them! You shouldn’t do that with regular bugs either, so why are you training your jerkism on people? 8. Don’t stand if everyone behind you is sitting! While waiting for the Australian Limbo performance in Magic Mirror tent, everyone found the place to sit on the floor. But a group of people found the good spot from where to see the performance, yet refused to sit down. Quickly, the situation escalated to the rest of the audience shouting unanimously: “Sit down! Sit down!” Even public shaming did not make them all comply! So, if you don’t want to be considered a jerk, sit closer to the stage or stand further away. But don’t block the view of majority for your own commotion! 9. Don’t save seats for “friends who will come”! As the whole Sziget Festival audience gets the right to see all content under the price of the festival ticket, it is important to arrive early if you want good seats in, for instance, Cirque du Sziget tent! At one of the circus performances, a girl reserved three empty seats in the first row. While all other audience was sent into the back of the tent, these seats have been there free and empty. Nobody is VIP who can just show up at performance start time and get the best seats in the house. And no, girl, your jerk friends did not show up! 10. Don’t lay on three bean bags if other Szitizens are laying on the bare floor! 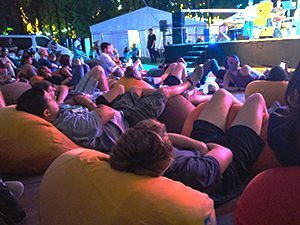 You might think that Sziget Festival has provided you with bean bags as modular Lego elements that enable you to assemble your private armchair or even sofa! But, sorry, jerk! Just because you have arrived earlier than others to the movie projection, it doesn’t mean that everything you found is yours. Other people should not lay on the floor just because you wish to rest your legs in the air! Sziget is about sharing, so make new friends, not enemies! Also, no, you cannot bring the bean bag to your tent just because you thought it would make an excellent pillow! 11. 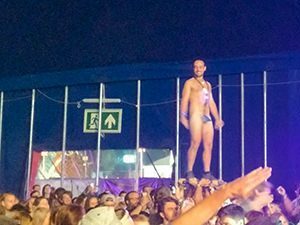 Don’t take 12 flags and 7 balls at Sziget Festival’s Special parties! 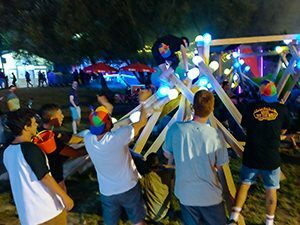 Every evening Sziget Festival organizes the so-called Special parties, where the spirit of the community under the Sziget flag should be celebrated. On these occasions, the festival gives away thousands of flags, beach balls, pom-poms, clapping sticks or any other similar accessory that can make Szitizens cheer together. However, it is so sad seeing many just coming over to “steal” the free props with no intention of even participating in the party. So, yes, you jerk, if you plan to get some free balls for your whole family, don’t just empty them of air and walk away in the unknown direction! Stay around and participate in the special party if you want the free prop for later fun! 12. Don’t pee next to someone’s tent! 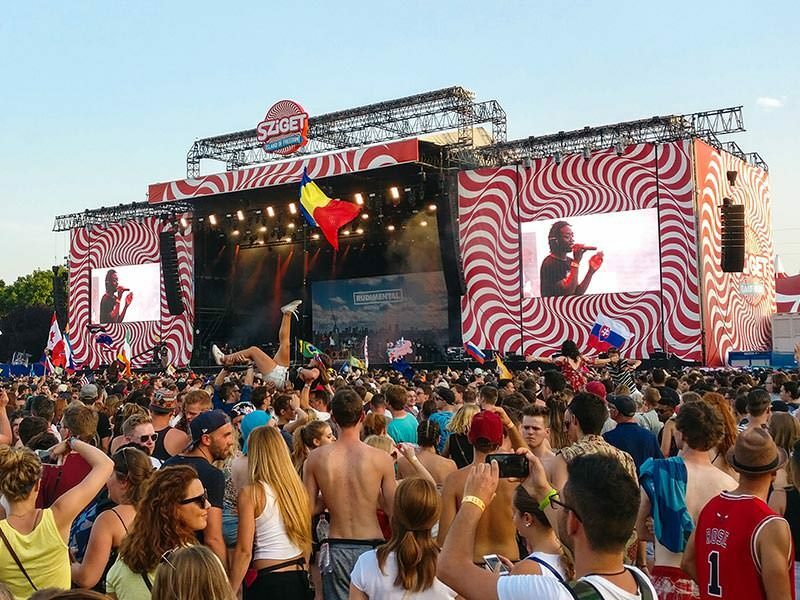 Sziget Festival provides just enough urinals and toilets visitors can use for free. Therefore, there is no reason for you to get your thing out and pee just next to someone’s tent! That equals with peeing in your own pants. So if you think other Szitizens will enjoy your smelly pee running down their tent, just pee in your pants next time. Jerk. Sziget Festival has secured very efficient systems of control at the entrance as well as providing organized taxi stop to go back to Budapest center. Even if the line of the waiting Szitizens looks long, the wait is really not. 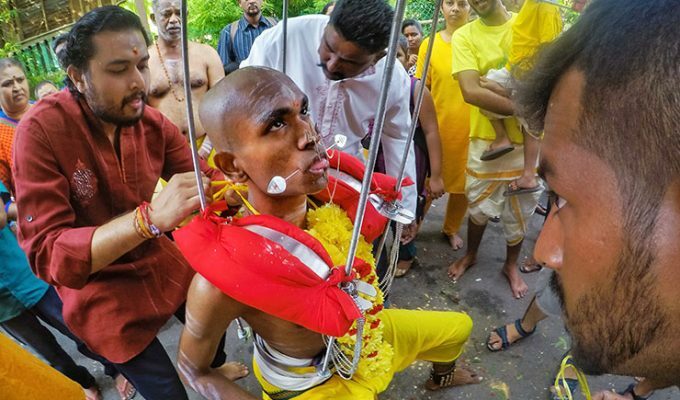 So don’t pretend you are deft, or that you are limping, or that you are working for the festival, or that your friends are at the front, or give whatever lame excuse you can think of to try to jump the queue. You are just being a pathetic jerk! 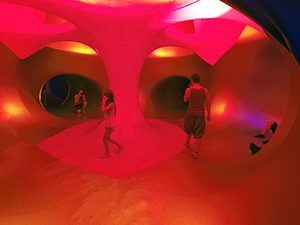 New rules at Luminarium this year: Stinky feet, keep out! 14. Don’t be asked to wash your feet! Luminarium is a standard Sziget Festival attraction. Designed by British Architects of Air, it is an inflatable sculpture of some 800 square meters of tunnels and domes, that serves as a colorful labyrinth Szitizens can explore or just chill in. From this year, Luminarium creators have installed a wash bowl at the entrance, intended for people with smelly feet. Well, I don’t know who initiated the new measures of protecting the freshness of Luminarium air, but if you go to places where you need to take your shoes off, wash your feet beforehand, jerk! You should wash them even if you don’t go to such places, you know. 15. Don’t enter Turkish bath in your filthy Sziget trunks! Some combo tickets for Sziget Festival allow you to visit famous Budapest baths in your free time. Some, such as the Rudas Baths, are traditional ones, so you will find most of the visitors in loincloths, covering only their private front. Sure, bathing trunks are also acceptable for the easily intimidated tourists. But clean ones. Locals complain that Szitizens are bringing Sziget dust into the environment where the primary intention is purity! Then again, why would you even come to a place where everyone is practically naked and you are the only one in pants? Really? Does that not make you feel even more exposed? As in… Everyone is looking at you? You, jerk, didn’t even shower before entering the baths! And one of you, jerks, even bathed in trunks where your undies were protruding out, in gangsta style. Really? Bathing in trunks and underwear underneath? You are the king of jerks, congratulations! 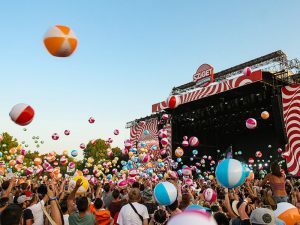 The 25th edition of Sziget Festival was attended by 452.000 visitors! It is statistically normal that some of them are jerks indeed. Your intention should be not to be one of them! There are plenty of ways to have fun and be one on Sziget and similar festivals – you really don’t need to shine up as the biggest festival jerk. Let Szitizens remember how they were laughing with you, and not at you! Check these hot deals in Budapest! Different dates available! Disclosure: This post contains affiliate links, which means if you click on them and make a purchase, Pipeaway might make a small commission, with no additional cost to you. Thank you for supporting our work!